Republicans have sent a bill to the House floor looking to end the diversity visa program which allows 50,000 immigrants a year to enter the country through a lottery system. I hope it passes and in the US Senate too. The diversity visas, known as the Schumer visas after Senator Charles Schumer, originally started out as a visa system to help more Irish come legally to America after they were frozen out by the 1965 immigration act. Nowadays only about 200 Irish a year win the lottery and the rest come from countries with far large populations who have far more candidates entered. I believe the Diversity Visa days should be numbered. Just this week an employee in my own office, here on a one year working visa, thought she'd won when a cleverly forged e mail, purporting to be from the State Department, claimed she was a winner. Sending the check to process the visa was, of course, the next step. She's a pretty sophisticated woman and she figured it out. However, I can only imagine the tragic joy of thousands from far less sophisticated parts of the world, when they find out they think they have won the visa lottery from such vultures only to later find out they had not. 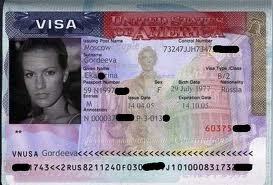 Year round now there are scam artists all over the world targeting people desperately hoping to come to America. This has become a major industry now and it is time to wipe it out. The visas should be reallocated to a points system where those most needed in the US could be able to gain admittance and where scamming cannot occur. Senator Schumer meant well and the visa worked for years, but now there is such a flood of illegal activity surrounding it that it is time to call a halt. The Diversity Visa no longer works.